I haven&apos;t drawn in a while so I made this to try and get back into it! 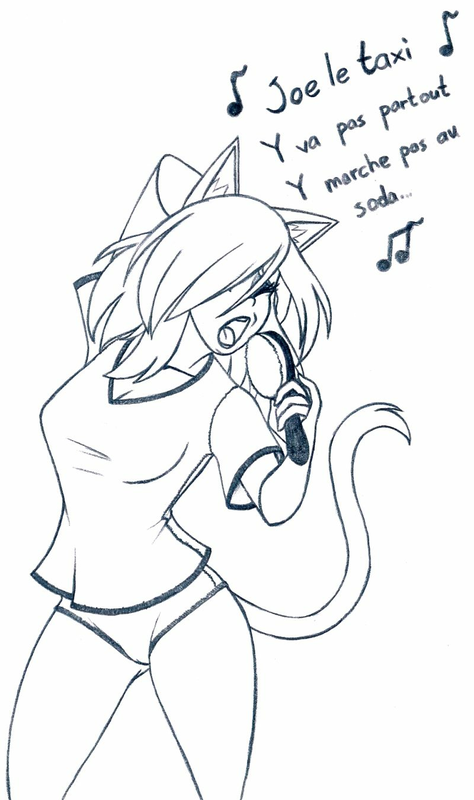 It&apos;s Ellie in her teens having some fantasy about being a singer. This is the song "Joe le taxi" by Vanessa Paradis. And yes, it is infact a French song. In fact "Y marche pas au soda" means "Is not soda-fueled". When talking about a machine the verb "marcher" means "to work" instead of "to walk" so it is litterally "do not work with soda (as a fuel)"
So, Ellie can speak French. Yes, her parents are french. Teenage Ellie is hot! I would love to see more of teenage Ellie for sure!